I just finished Night of Camp David a 1965 political thriller by Fletcher Knebel. The essence of the novel is what our leaders could and could not do if our president went nuts and had to be removed from office. 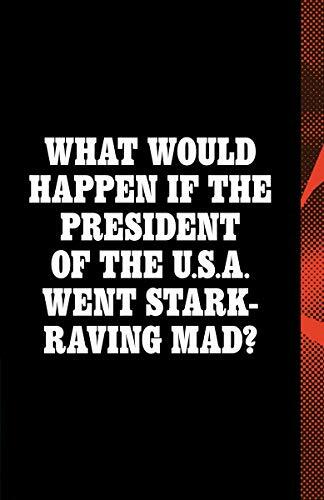 The novel proved prescient given the downfall of President Nixon and the naked narcissism of President Trump. Parts of the book are downright scary when considered in light of current events and considering the differences between political environments in 1974 and 2018. I … don’t think that Trump would ever voluntarily leave office as Nixon did, even if he felt impeachment was imminent. I’m not even sure that he would willingly leave if he were impeached and the Senate moved to convict, a scenario that is hard to imagine at this point. Night of Camp David is a good read with contemporary relevance. FYI: Knebel also authored Seven Days in May which was made into a movie about an attempted military coup in the U. S.
Lower quality = "good enough" results? Democracy is dead. Long live King Donald. Finchem to Teachers: "I'll get you my pretty"